This entry was posted in Hong Kong Immigration and tagged Hong Kong Hong Kong QMAS Hong Kong QMAS Application process Hong Kong QMAS requirements on May 28, 2014 by Blog Author. Hong Kong Quality Migrant Admission Scheme (QMAS) is quota-based entrance scheme designed to attract skilled professionals to settle in Hong Kong and to use their skills for the development of the country’s economy. For the candidates who have successfully applied under the scheme, need not have a job in Hong Kong prior to their entry into the country. Under Hong Kong QMAS, you are allowed to bring your partner and children under the age of 18 provided you have enough financial resources to meet the expenses without depending on Hong Kong’s public assistance. Regulations of Hong Kong QMAS are subjected to change frequently by the Immigration Department of Hong Kong Special Administrative Region (HKSAR). 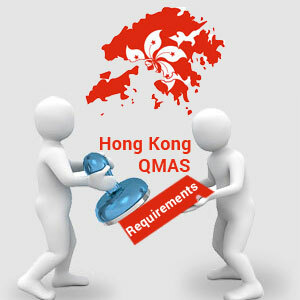 The nationals of Afghanistan, Vietnam, Cambodia, Nepal, Laos, Cuba and Korea are not eligible for Hong Kong QMAS. 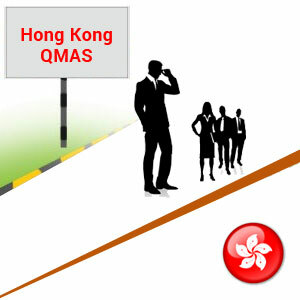 The aspirant’s age must be equal to or more than 18 while filing the Hong Kong QMAS application. Must carry financial proof stating that the candidate is capable enough to meet their expenses and that of dependents, if any. There should not be any criminal record or adverse immigration record filed on the candidates. Must be proficient in either English or Chinese (Putonghua or Cantonese). The candidate must possess good educational qualifications. According to Hong Kong QMAS Application process The candidates must fill either ID (E) 981 (English version) or ID(C) 981 (Chinese version) application form. The candidates can submit the application form and all the necessary documents either personally or by post of Hong Kong QMAS Application process. For more Information about this Visa please fill out MoreVisas Enquiry form, and you can follow us @ Facebook, Twitter, Google+. like to apply for Hong Kong.